One of my travel resolutions this year would be to explore my own backyard. As a travel blogger, it’s so hard to resist the call of faraway exotic lands. I will be first to admit that I turn a deep shade of red when I meet people overseas who have travelled Australia far more extensively than I have. Sure, I have lived in Cairns, Canberra, and Sydney being my latest residence. But there’s so SO much more out there to explore. Seeing that I live in Sydney, I thought I’d reach as far as I could and go to PERTH. 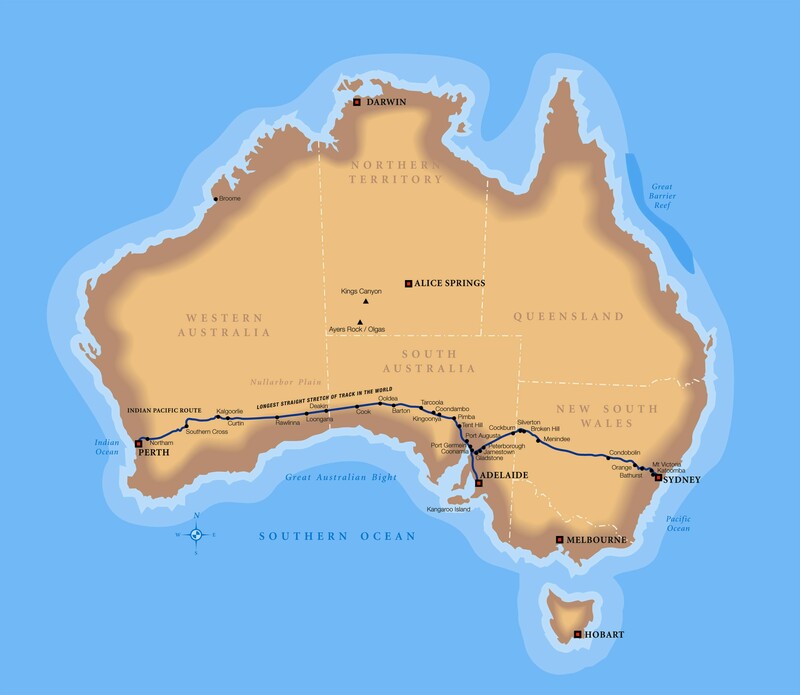 As you can see, Perth is all the way on the opposite side of the country. You can rail it, but it takes days. Flying there will take approximately 4 and a half hours. What will my Perth Weekend look like? Well I’m a very visual person and to make my dreams even more valid, I, who have never been to Perth or set foot in Western Australia ever, have taken this visualisation to the next level by “being” in Perth, at least in the photos. This weekend will include luxury and adventure, in true Holy Smithereens style! Since I will be in Perth just for the weekend, I’d love to stay in one of the luxurious and established hotel brands in the city, the Pan Pacific Perth Hotel. 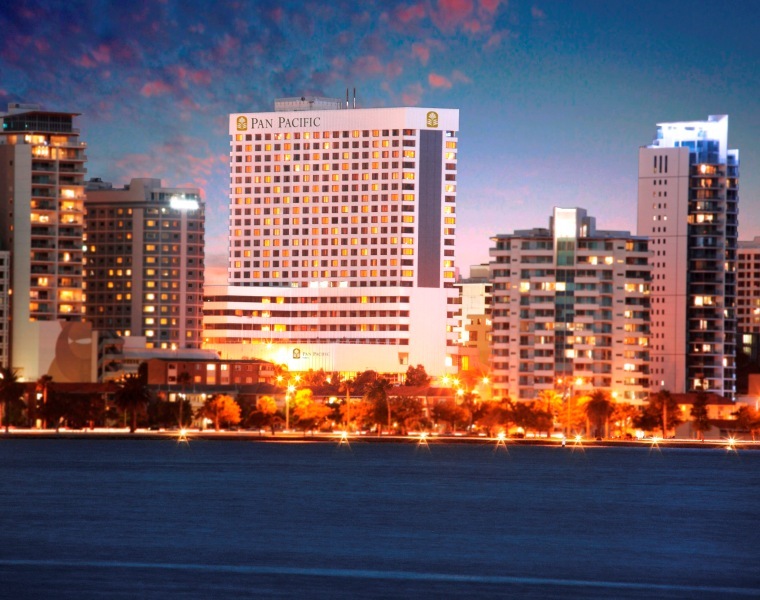 The hotel is located right in the center of the city overlooking the Swan River. 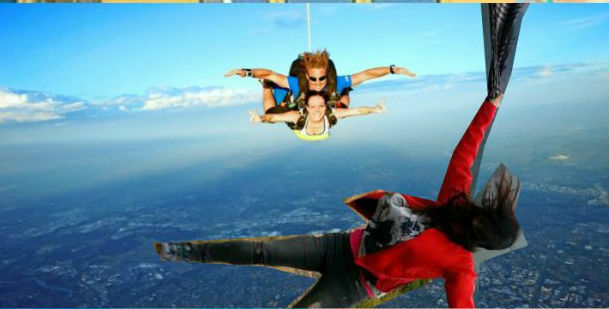 I’ve always wanted to see Perth and go skydiving, so why not do this in the same afternoon? Afternoon tea at the Pan Pacific Perth. 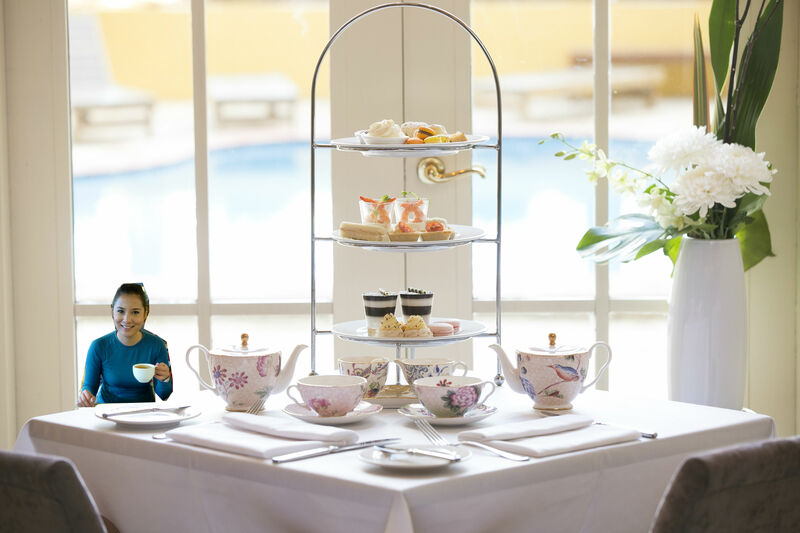 I’m sure those lovely cucumber sandwiches and scones will fill me up quite nicely. So after this, I will head out to explore Perth by foot. Perth CBD is known for its lovely cafes and restaurants, so I will take my time strolling and then later have a lazy dinner. The thrill and excitement of Day 1 will definitely send me to a good snooze as I enjoy my King sized bed at one of Pan Pacific Perth’s executive suites. jumping happily into the king sized bed! It takes about 30 minutes to get to Rottnest Island by Ferry from the city, and if the weather permits it, I will laze in the waters as above and snorkel. If not, I will explore the island by foot or bicycle. 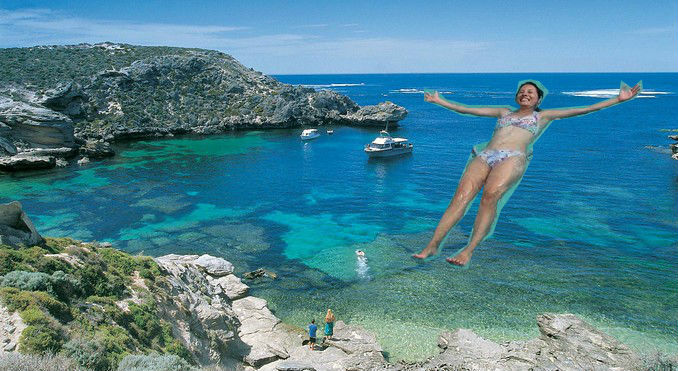 But there really is one major reason why I want to go to Rottnest Island. These cute little creatures are found in Rottnest Island, and I’ve always wanted to keep see one! It’s been a dream of mine to see what could possibly be the cutest little animals (next to wombats). 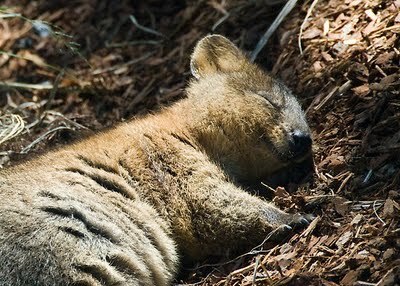 And because this is a dream and the Quokka above seems to be dreaming too, I will name my future quokka friend Lupita. To remind me that my dream of cuddling next to a smiling quokka is valid, my friends. VALID. 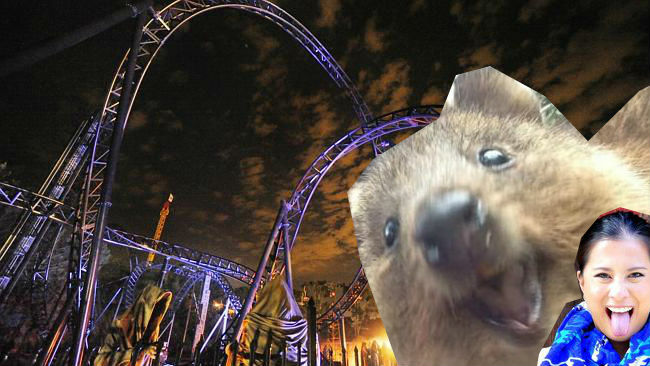 I’m a big fan of roller coasters, and because Sydney doesn’t have any “real” theme parks (not Luna Park), it would be cool to be a kid again and go on all the scary rides. In the evening, I will have a leisurely dinner back at the hotel and because I will surely and truly be spent after the day’s activities, I will be sure to be on time for my appointment at the Pan Pacific Perth’s Rose Moon Day Spa. After this luxurious treatment , I will head straight to bed, be sure to have the “Do Not Disturb” message. It will be a long and deep sleep. The splash of cold water will certainly wake me up from this weekend of wonderful adventures. Did I just dream it? Did it really happen? Is Lupita still in my pocket? What and where is your vivid and valid dream anywhere in the world?